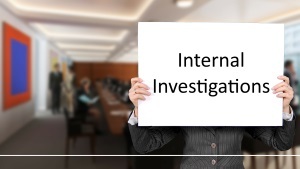 At JMMPI, our investigators are well aware of the sensitivity of internal investigations, and the need for impartiality and independence when they are conducted. A strict observance of the laws governing employees rights, such as Data Protection, The Human Rights Act, as well as contractual and policy obligations are essential to the correct governance of this type of investigation. In the event that an internal investigation is deemed necessary, we will work closely with your management to provide a sensible liaison protocol to provide integrity to the investigation as it unfolds. We have investigated the following issues in the past and we are able to provide case examples if required: Internal theft, substance abuse, discrimination in the workplace, complaints of sexual harassment, fraud and security breaches, theft of data and corporate espionage. The number of applications for this type of investigation is not exhaustible in the context of past cases we have dealt with. We have an holistic approach towards internal investigations and can apply any number of methods to obtain the results your require to an exacting standard, discreetly and most importantly, ethically and lawfully.